Pierate - Pie Reviews: Pierateers celebrate 150,000 with BBC Radio appearance! 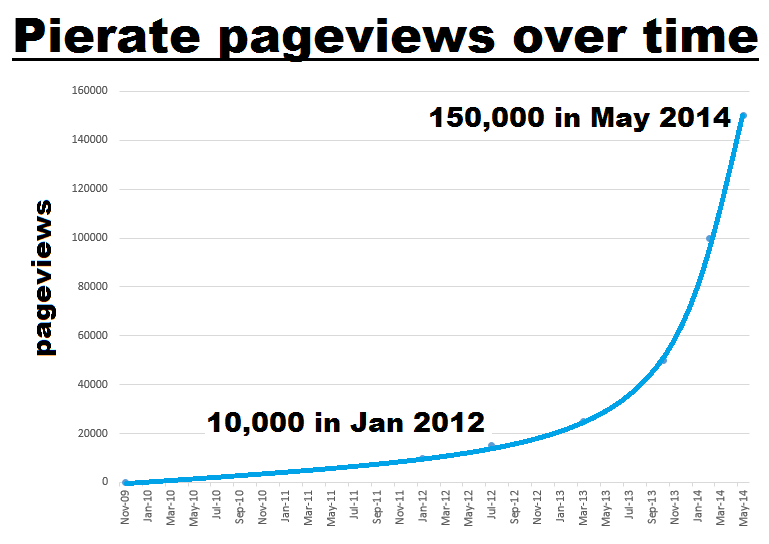 Pierateers celebrate 150,000 with BBC Radio appearance! It seems people love pies! And it seems people love our pie reviews on www.pierate.co.uk! So today we are delighted to be celebrating our 150,000th page view with a special post highlighting our top pie articles so far and an appearance on BBC Local Radio's "Mark Forrest Show"! But wait – there’s more! As it happened, one of the big topics on the BBC Local Radio summary show – the “Mark Forrest Show” – was pies and unusual pie fillings! So no sur-pies that they called on the pie experts the Pierateers and we had a 10 minute conversation with Mark. It was very flattening to hear Mark say "The strength and depth of this blog is something to inspire" and "It's an amazing blog." While sadly the recording was only online for one week, you can read some of the articles we referred to below. An epetition which is threatening CRIMINAL sanctions on sellers of casseroles with pastry lids! Our attempt at making a Piethon - a pie made with Python meat during British Pie Week 2014! The most unusual pies we've rated! The British Pie Awards 2014 - where we had the pleasure of judging. Featuring a review of Morecambe Football Club's winning pie! Eating 21 pie meals in one week and LOSING weight! Plus with over 8,000 pageviews already, it’s no surprise our Pierate Pie Rankings page is the most visited page on Pierate! Thanks once again to all the pie fans out there who make writing all these pie reviews such a PIEleasure! Enjoy!